New in June 2018! 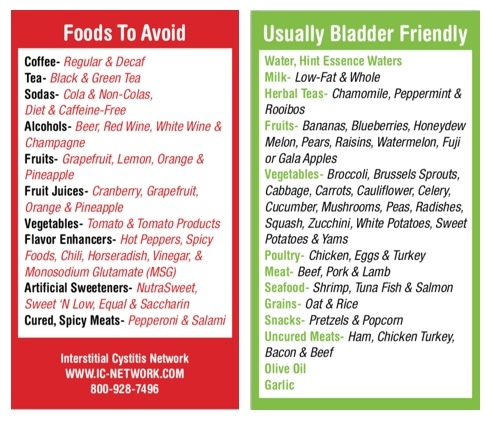 The ICN Diet card is a handy reminder of those foods to avoid and those foods that are usually bladder friendly. The same size as a business card, you can carry it as a reference guide at the super market! 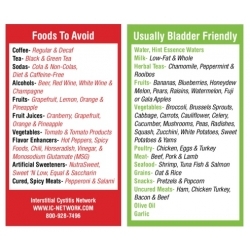 Share with restaurant staff if you are seeking a bladder friendly meal! Give it to family members and/or friends who are offering you a meal. This unique card will empower you and serve as a quick and easy reference guide on the IC food lists. A great IC awareness tool! There is no shipping charge!